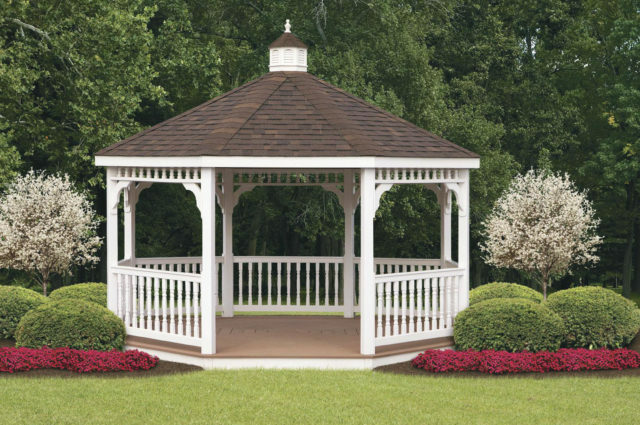 Built with lasting quality in mind, our handcrafted gazebos promise years of outdoor relaxation, family fun and carefree entertaining. 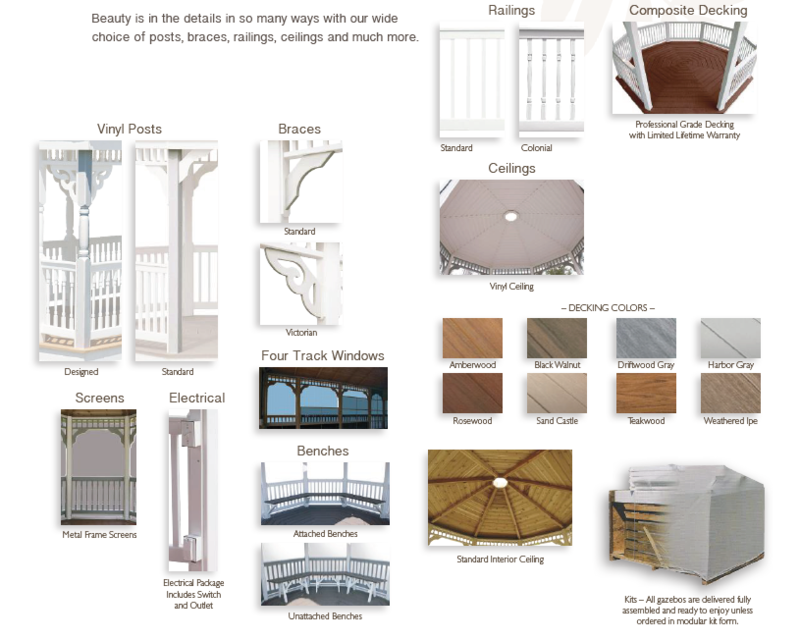 From our wood designs to our maintenance-free vinyl styles, every one of our beautiful gazebos is created with the finest quality materials and attention to detail – for your complete satisfaction and enjoyment. Adding a gazebo to your backyard is a great way to create a fun and welcoming atmosphere. 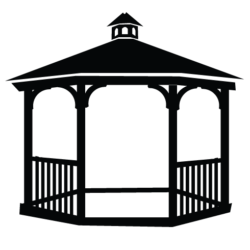 These structures are great for family and social gatherings, whether it’s brunch or a family reunion, the addition of a gazebo is a great way to enhance your backyard. 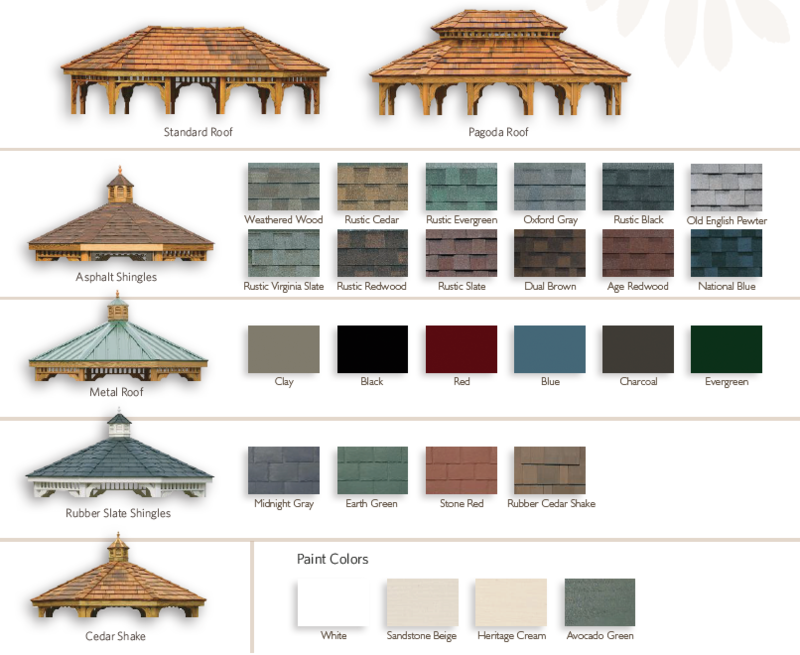 In addition to serving as a social center, a gazebo is also a great place to enjoy solitude, whether it’s reading a book or practicing meditation, the tranquility and unique outdoor personal space that a gazebo provides will be something homeowners will come to love. Also, the added shade provided by a gazebo is ideal for backyards that do not have trees or nearby structures to provide natural shade. With a gazebo in your backyard, you won’t need to limit your backyard activities to the evening if the sun is a concern. 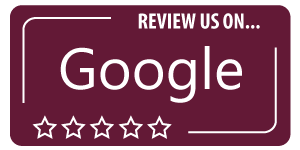 To learn more about adding one of our stunning gazebos to your backyard, contact us today to get the conversation started. A classic shape with all the style and charm you expect, our octagon gazebos provide the perfect setting any time of day. 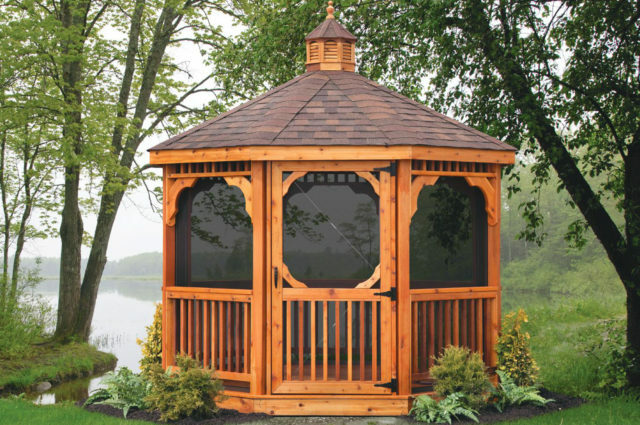 Available in several sizes, your octagon gazebo may include screens, Victorian braces, custom paint and other special options and features – for a truly unique gazebo that fits into your landscape perfectly.